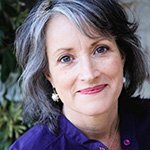 Mukti Jarvis (Formerly known as Linda Rysenbry) is a professional mediator, relationship coach and the founder of Now Relate. She is internationally accredited with the Centre of Nonviolent Communication founded by Dr. Marshall Rosenberg over 45 years ago. Linda has co-trained in New Zealand and studied intensively with Dr. Marshall Rosenberg in Switzerland and the USA and also international NVC Mediation practitioners, Ike Lasater and John Kinyon. She is also trained in Emotionally Focused Couple Therapy and combines two decades of experience of business leadership in private, family owned and corporate structures, practising healing arts and professional coaching. Mukti graduated with a degree in Human Resource and Training and Development from Massey University, N.Z. She is an accredited Brandon Bays Journey Therapist, CNVC Trainer and Mediator, Nationally accredited Mediator, LEADR Mediator and is an extern in Emotionally Focused Couple Therapy and trained in Free To Be Me Personal Development Teaching and Counselling. She holds a broad perspective on life and has a tenacious yet gentle capacity to facilitate deep empathy, healing and personal growth, especially in challenging circumstances. Mukti lives on the Northern Beaches, Sydney, Australia and works in-person and by phone/ skype with individuals, couples and families. She also contributes to professionals and leaders through workshops, mediation and coaching.